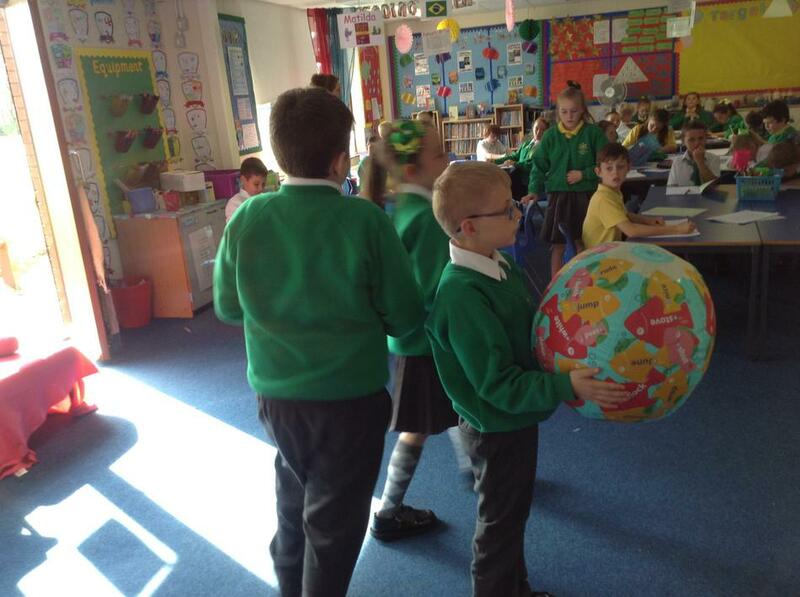 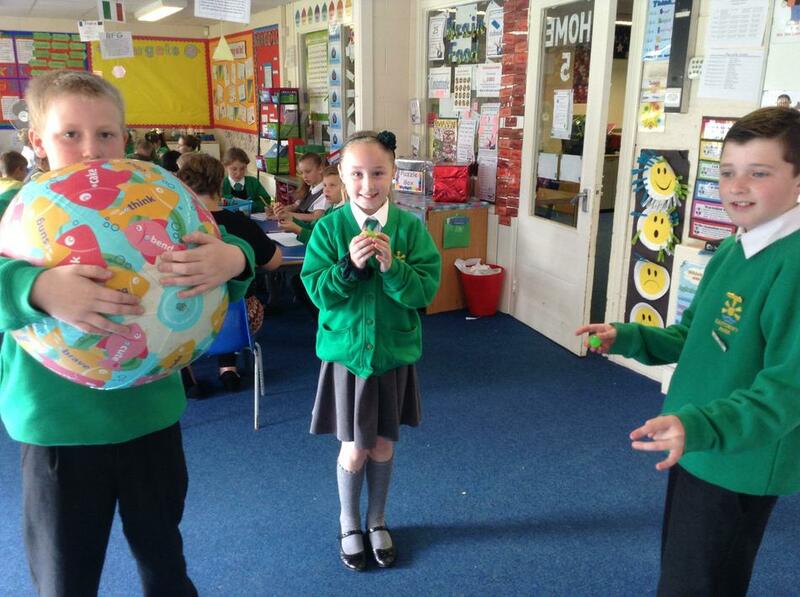 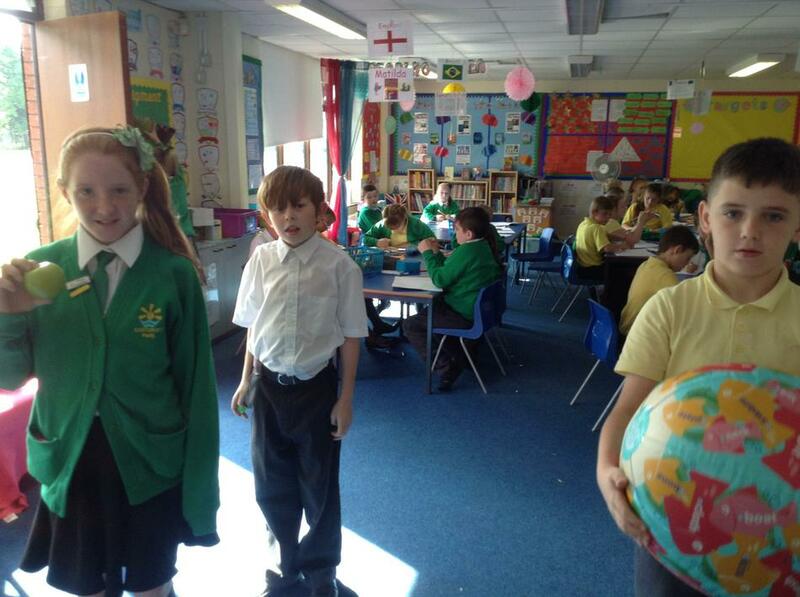 Home 5 have recently began learning about Space! 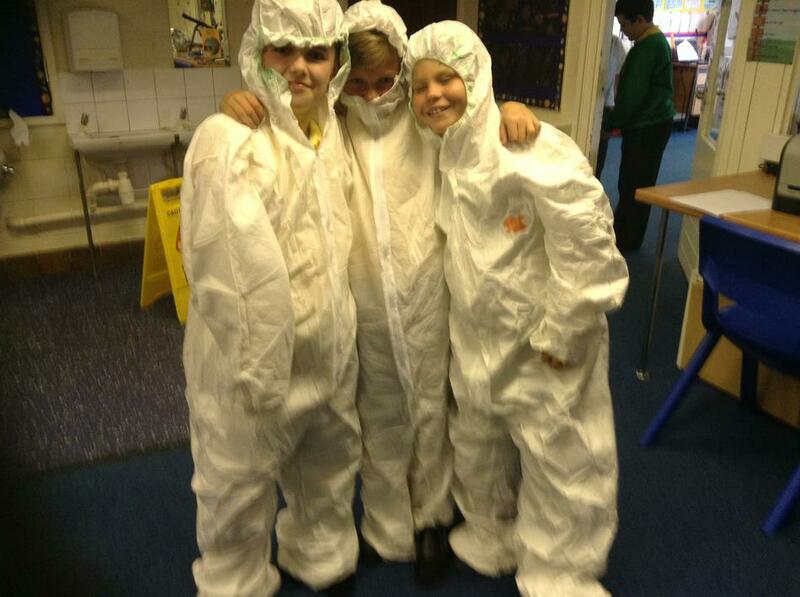 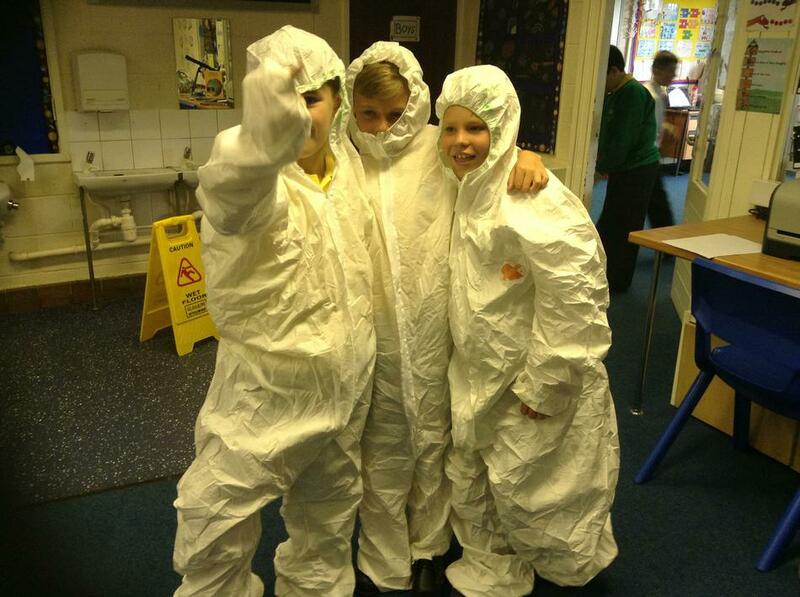 We have specifically enjoyed wearing the spacesuits and pretending to be astronauts in our role play area. 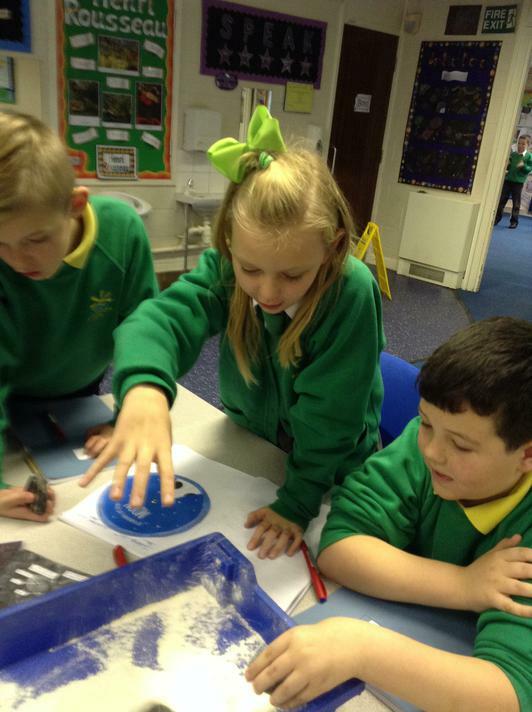 Carrying out experiments on our space station has helped us to learn more about the milky-way and our solar system, we have also been able to develop our scientific language as well as our English skills. 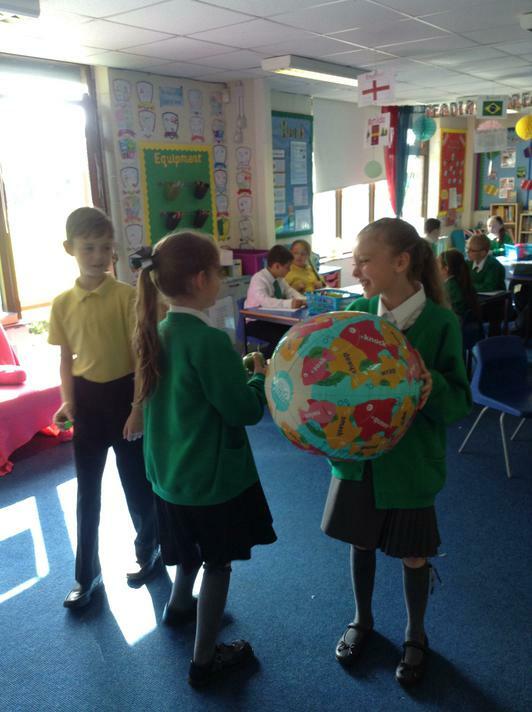 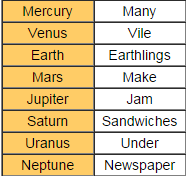 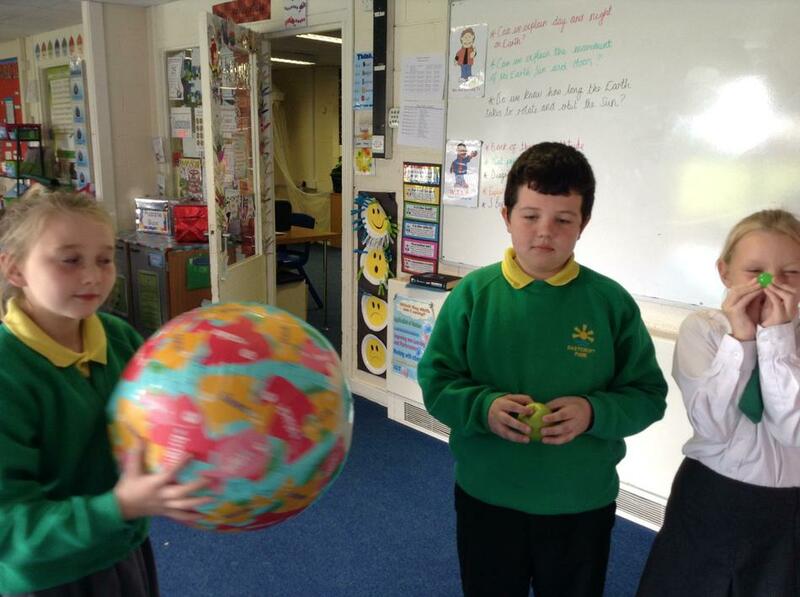 As part of our space topic, Year 5 have explored the eight planets in our solar system, we have even created our own rhymes to help us remember the planets in order from the sun. 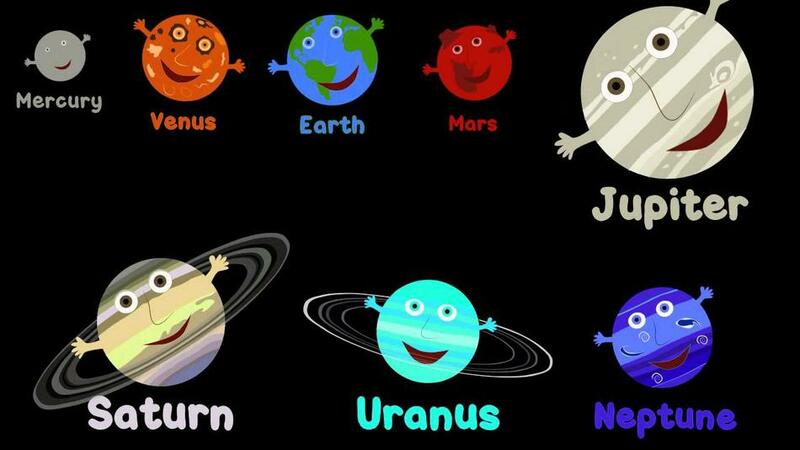 Can you think of your own? 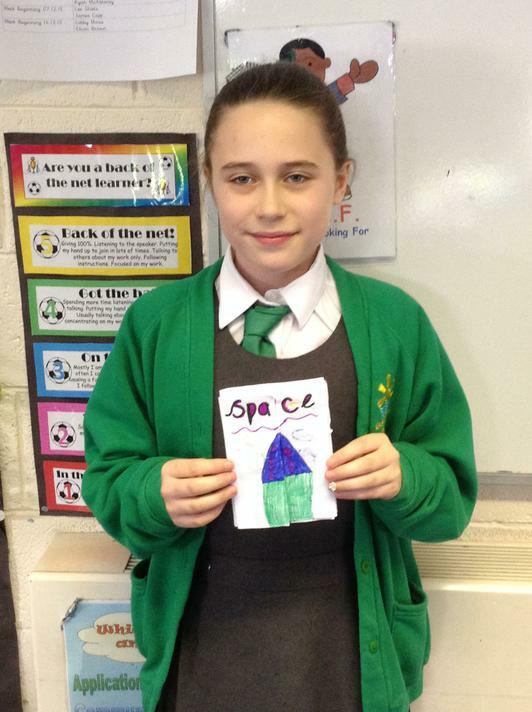 Year 5 explored each planet in more detail and created their very own pop-up information booklets! 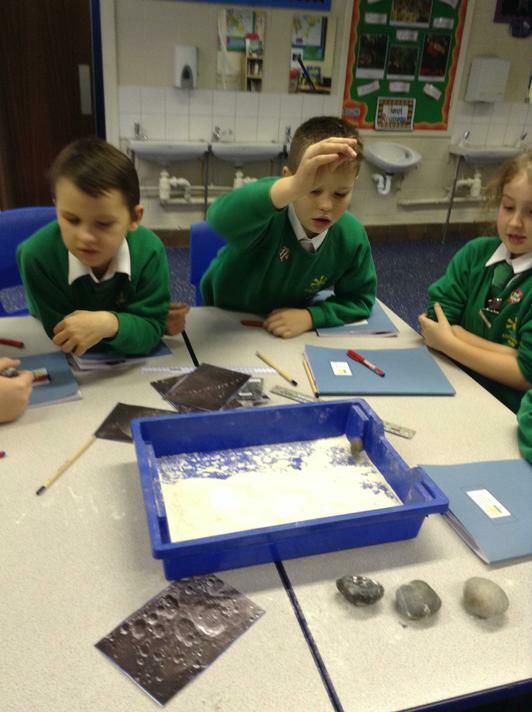 The children enjoyed filling their booklets with information they researched independently. 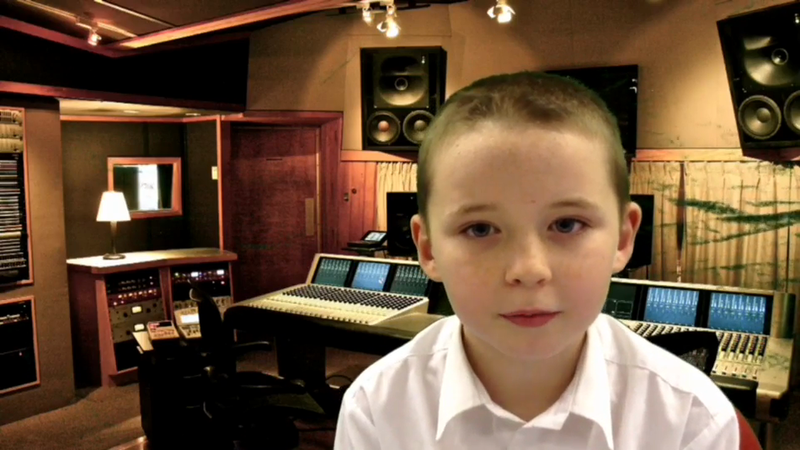 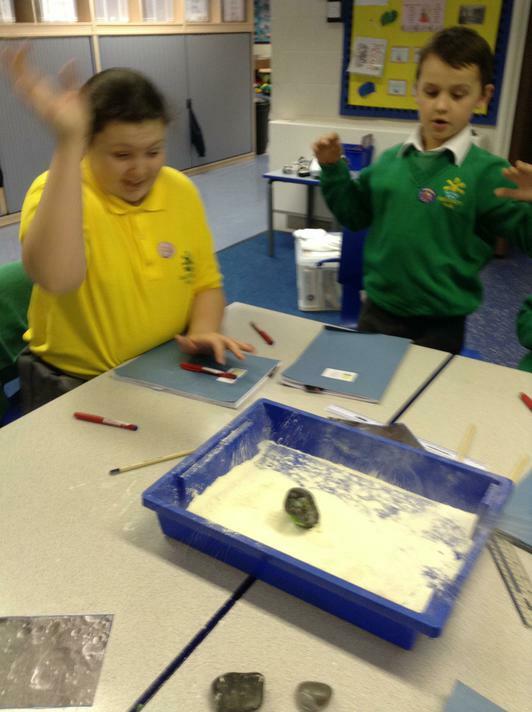 As you can see from the pictures below they are fantastic! 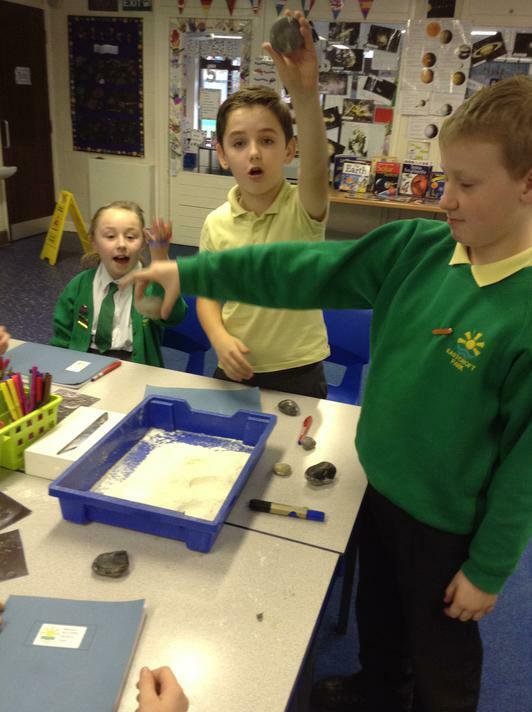 As well as learning about our solar system, Year 5 have also discussed the space race and looked in detail at the moon landing. 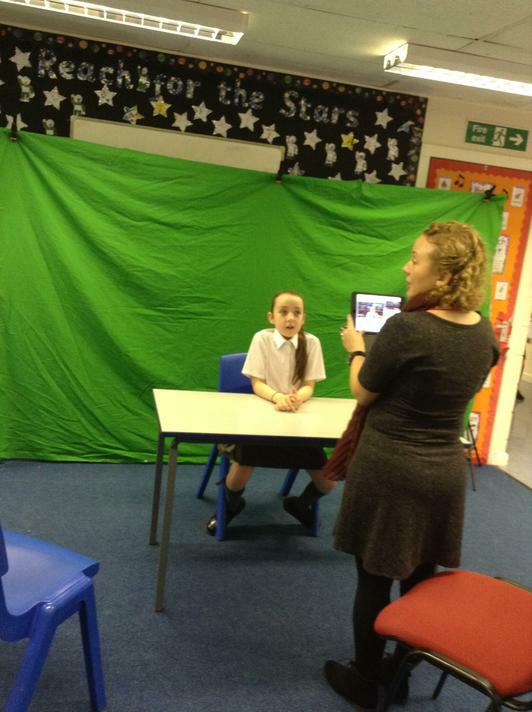 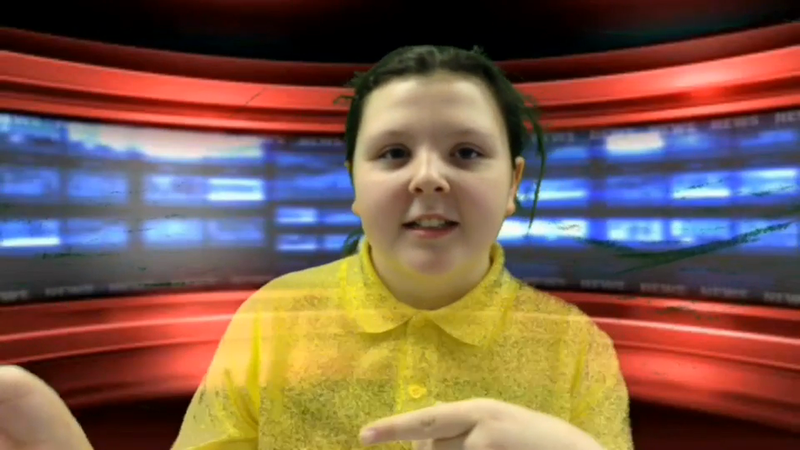 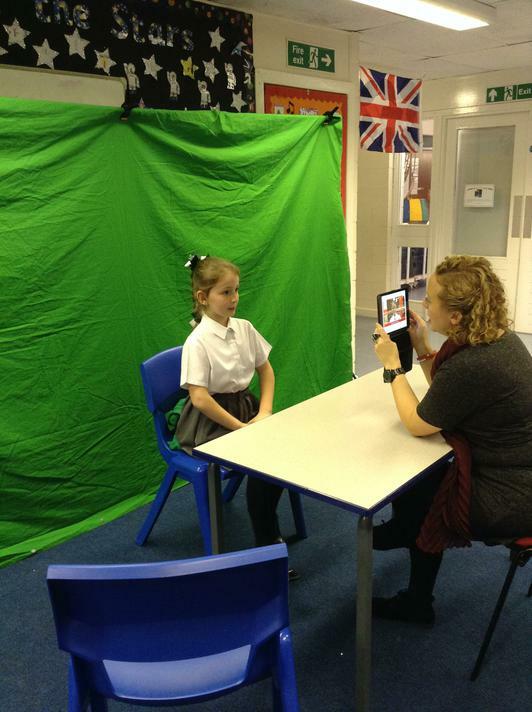 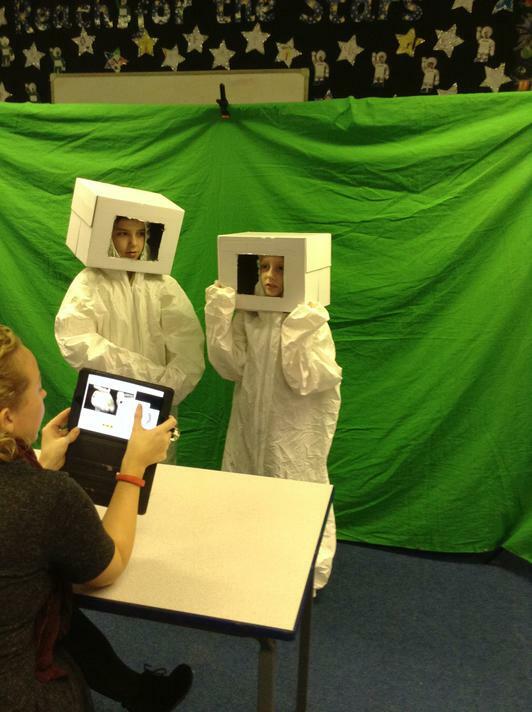 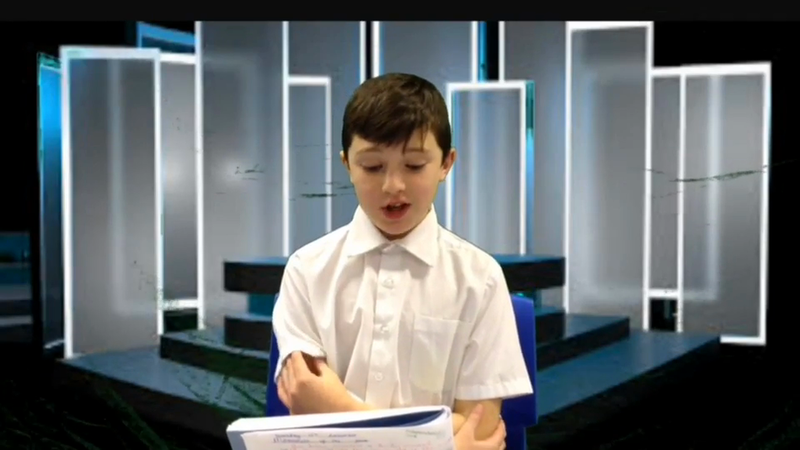 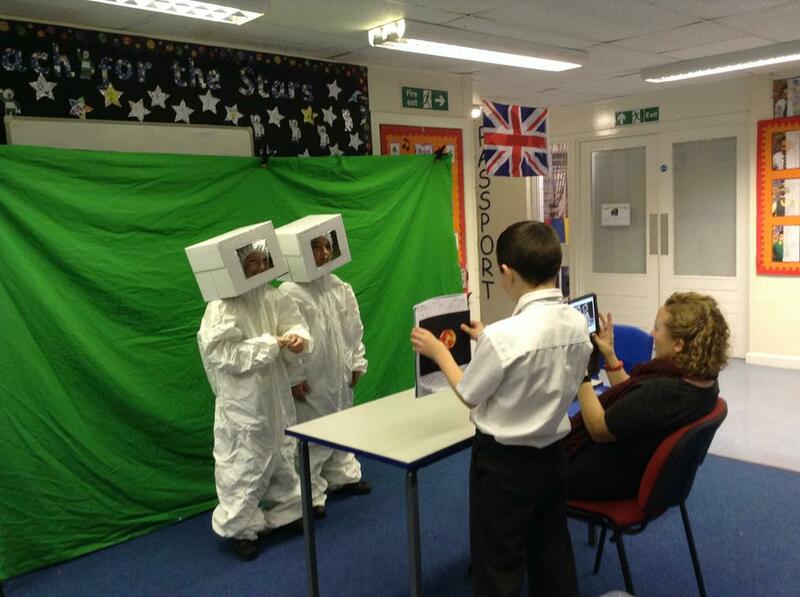 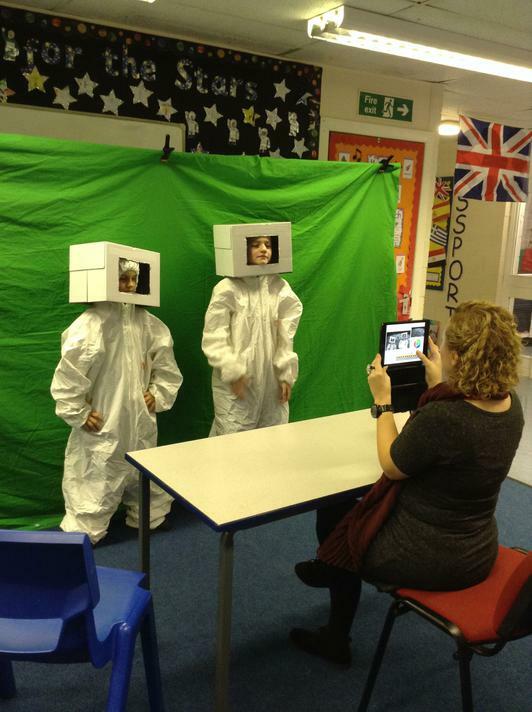 We really enjoyed becoming Neil Armstrong and using the green screen to carry out our own scripted interviews on the moon! 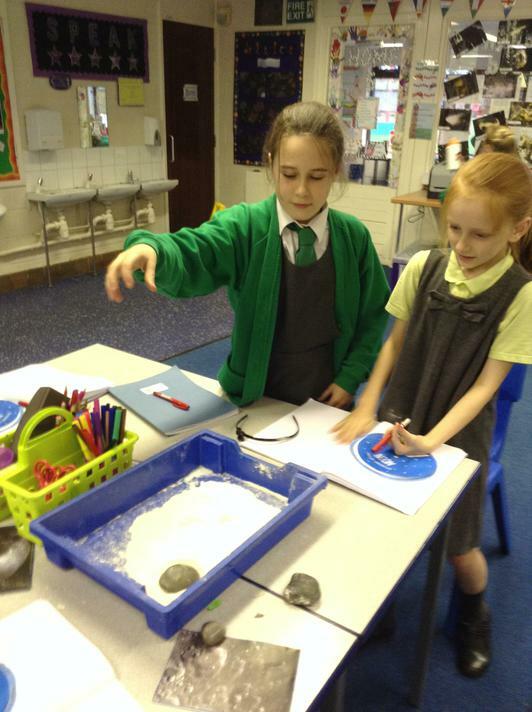 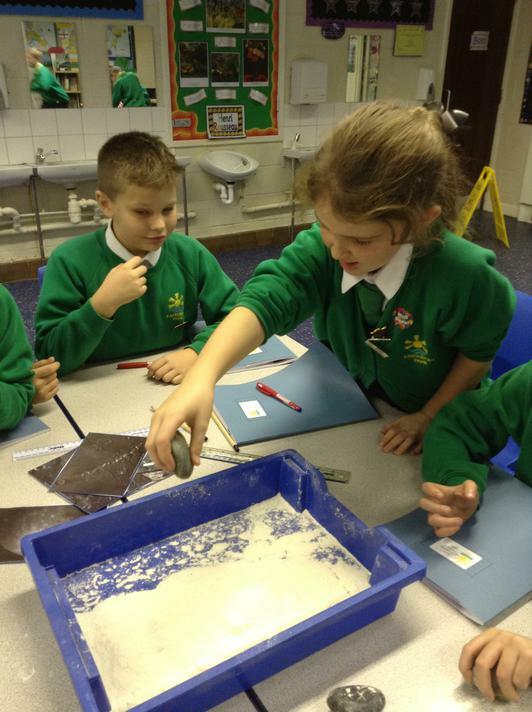 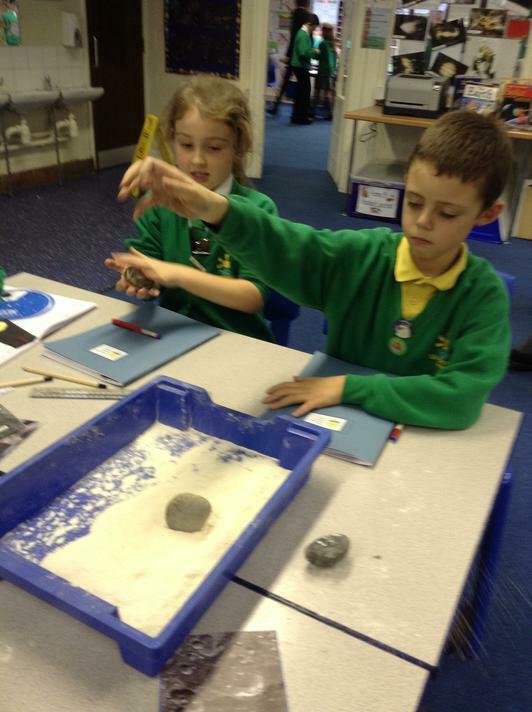 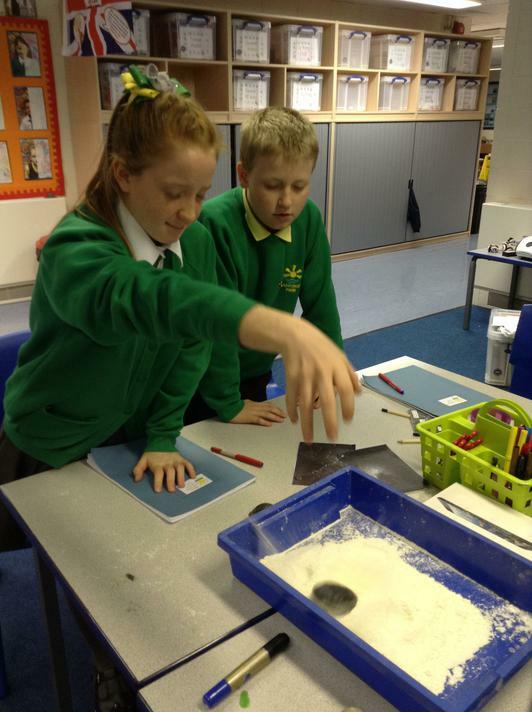 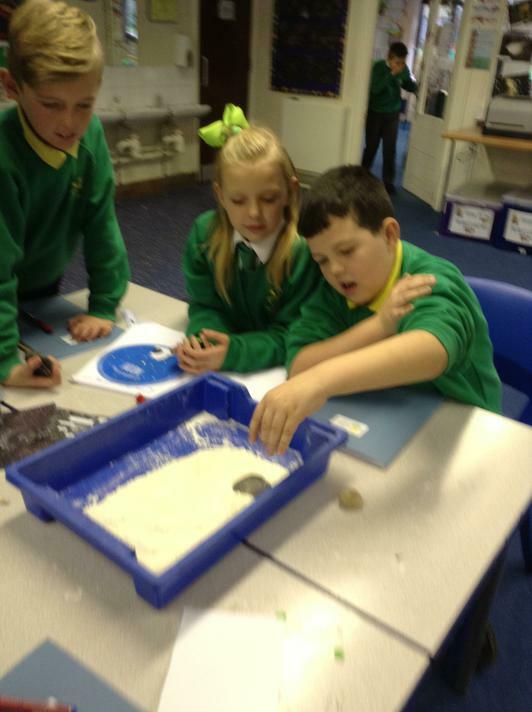 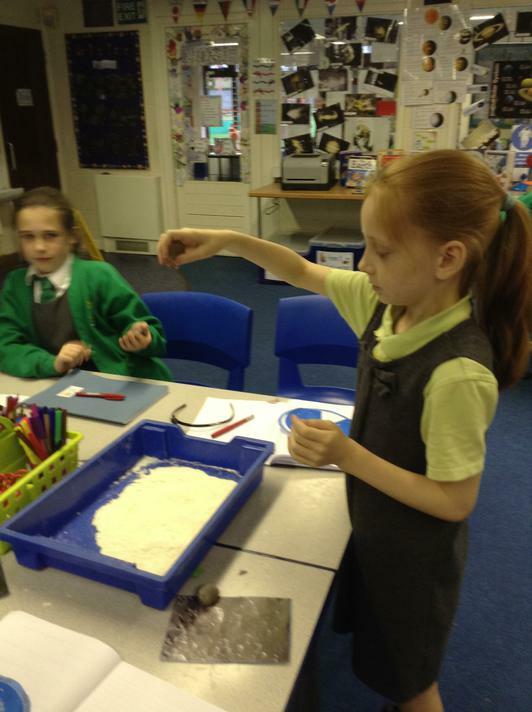 Year 5 recently explored moon craters, we loved learning about what they are and how they are created by making our own! 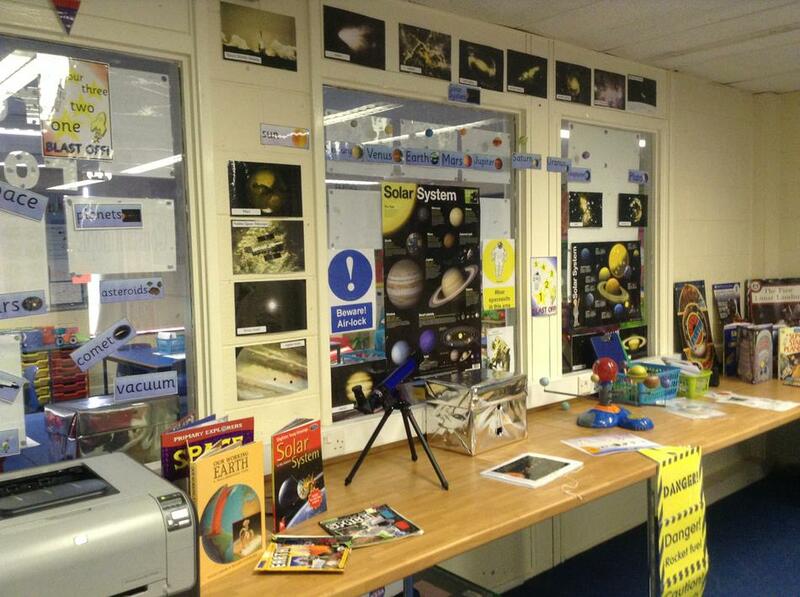 This term Year 5 have enjoyed exploring the stars! 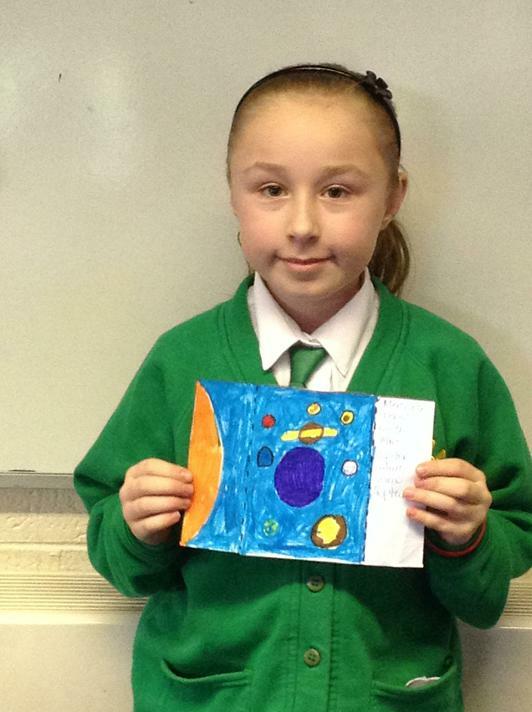 We studied star constellations, including those of our zodiac signs, and created collages of our favourites! 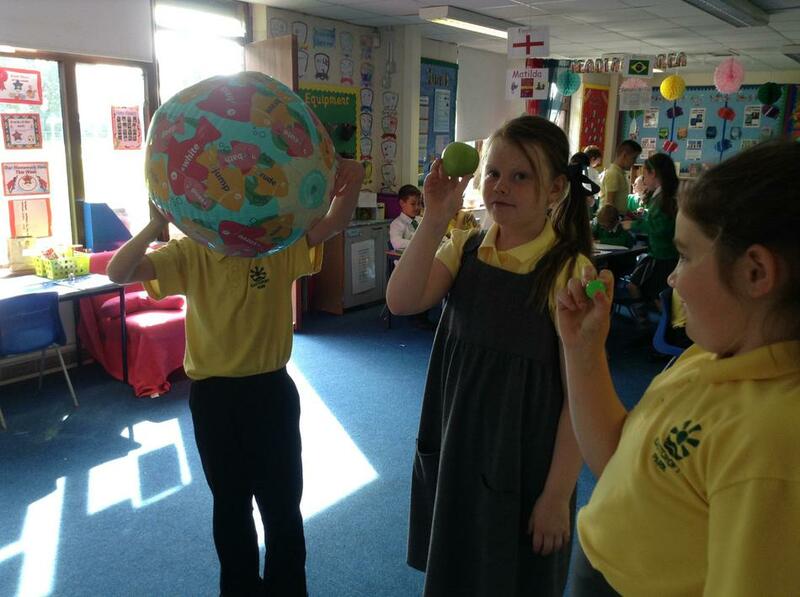 We had fun exploring images of Nebulae and finding out what these are. 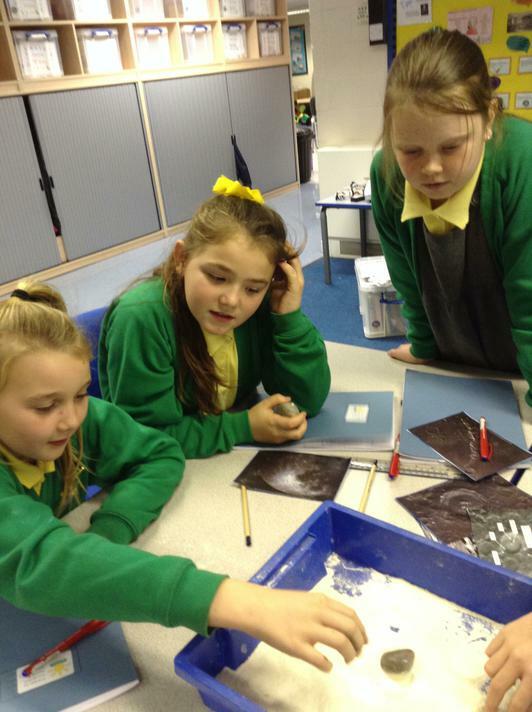 We really enjoyed layering paint, pastels and sequins to create a Nebula picture of our own!